One of our Highlander Radio folks heads up her fan club. Check out the introductions and there is a link to Deirdre's information. I have her album, and I've got to tell you, she's fantastic. Great voice. Her departure from her brief time with Celtic Woman is somewhat of a scandal. Nothing at all against the other girls, but it seems that the CW management was pretty unceremonious in letting her go. The Celtic Woman website has a forum that goes into this somewhat. And I agree that Hayley is quite a talent! She has a new project coming out next month. It's Deirdre Shannon. She was featured here on CR.net just recently. Don't know when she was with CW though. Love that Hayley Westenra too. Comments: I have all of the Celtic Woman cds, including the solo albums and love them. I am a little confused, though. In some of the newer albums a little card is included which shows all of the albums available. On one of these cards, there is a picture of an album by someone named Deirdre. Who is this? I knew that a new member, Hayley, had appeared on the new album, but I know nothing of this Deirdre. Anyone have any info about her? Comments: I agree that the new Celtic Women CD and Video are excellent. The first one was more subdued but this one shows that they really enjoy being together as a group. I also have the Christmas CD and it gives you a warm comfortable feeling during the Christmas season. Comments: I saw the concert version on PBS the other day and in my opinion it was ok. I liked the first album much better. I thought with the first album it was a little more traditional is that makes sense. With this new album they throw in a lot of non-celtic songs. I really didn't like their version of "Beyond the Sea" I thought that it wasn't a very good version. Again this is my opinion. I loved the first album but I think I'm going to pass on this new album it's not celtic enough for me and I don't like some of the versions of newer songs they did. Comments: A complete and total must have for anyone who loves celtic music and especially that of the group Celtic Woman. Write about Celtic Woman Presents: A Celtic Journey! 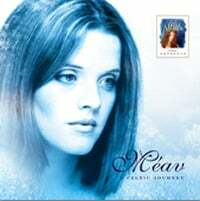 Want to write a review about Meav Ni Mhaolchatha's Celtic Woman Presents: A Celtic Journey album? Post your comments in this box to be displayed in our community forums and in our album database! Please make sure you are logged in before proceeding. Please login to write your comments about Celtic Woman Presents: A Celtic Journey.